For the first six months of 2015, solar power accounted for 40% of all new electric generating capacity brought on-line in the U.S. according to a recent report by the Solar Energy Industries Association (SEIA). That makes economic sense, especially for U.S. rooftop solar. Photovoltaic (PV) system costs have fallen and buyers are willing to pay more for homes that have PV systems than they will pay for similar homes without them. Homeowners can now install solar panels and then immediately recover their PV investment, and more, if they sell their house. According to SEIA, new residential PV systems installed during June 2015 on average cost $3.50 per watt in the U.S. before rebates and tax credits. A recent study by researchers from the Lawrence Berkeley National Laboratory indicates that the average premium U.S. home buyers will pay for homes having PV systems is slightly over $4.00 per watt. However, homeowners don’t need to sell their homes to quickly recoup their solar investment. Because rooftop PV power is free after the initial investment, it soon pays for itself by reducing the amount of electricity that needs to be purchased from an electric utility. The exact payback period, without a home sale and ignoring rebates and tax benefits, varies depending on the amount of sun a location receives and local utility rates. 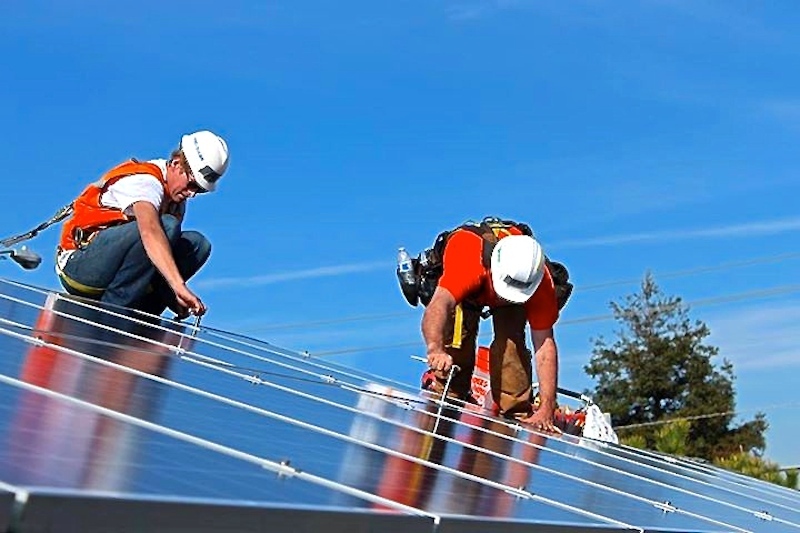 For high sun areas having high electric utility rates, like Honolulu, Hawaii and Sacramento, California, payback periods are approximately three to six years. Even for Seattle, Washington, a city that has little sun and electric utility charges that are among the lowest in the nation, the payback period is less than 12 years. That period could ultimately be even shorter if utility rates rise. After the end of the payback period, PV electricity is completely free and homeowners can still look forward to ultimately selling their homes for more than non-solar neighbors.